Packaging plays an essential role in the cosmetic market, and is regarded as the “secret salesman”. Apart from keeping a product well protected, cosmetic packaging must follow current trends to attract beauty and personal care consumers. Moreover, it has to focus on building a unique brand identity by creating a differentiated image. The global cosmetic packaging market will exhibit steady growth in the next decade while facing more intense competition. This will put significant pressure on packaging providers, and a key challenge for packaging manufacturers is to meet the increasingly complex packaging requirements for customers. An aging population, increasing beauty consciousness in emerging economies, the expanding male grooming market and more natural and convenient cosmetic packaging are the trends to which that leading packaging manufacturers must cater. 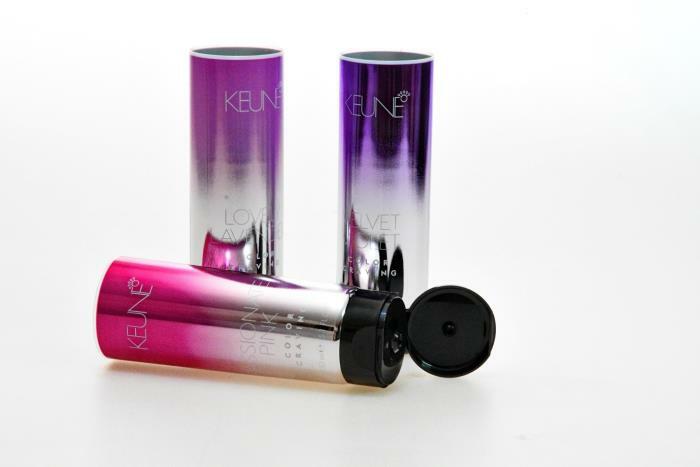 Plastic tubes are expected to show the strongest growth in terms of materials used in cosmetic packaging. This is due to the cost-effectiveness, good performance, reliable protection, color versatility, flexibility and easy transportation and storage. Understanding the cosmetic and personal care market trends, LageenTubes, since it was founded in 1967, has been continuously investing in acquiring new printing solutions and cutting edge decoration technologies for its aluminum and plastic tubes, understanding that it is essential to keep up with current trends to maintain a competitive edge. Innovative thinking is the answer. LageenTubes is recognized for designing and producing high-performance custom tubes. We believe that LageenTubes’ innovative thinking is a result of our passion to supply our customers with the unique and differentiated products that have high impact on shelves. That is why we established a multidisciplinary innovation forum that includes FMCG marketing experts, product engineering professionals, graphic designers, polymer engineers and technologists and printing production specialists. Our R&D team is constantly pursuing technical leadership to provide our customers the competitive advantage they desire. LageenTubes has introduced its new cutting edge decoration technology - MetallicPlast™ - for plastic tubes enabling the company to uniquely supply 360 degree state of the art graphics on seamless tubes for premium cosmetic brands, including unlimited metallic effects options, printed to shoulder. This cutting edge packaging tube decoration is particularly effective when used for premium cosmetic products that create brand differentiation and outstanding impact. The MettalicPlast tube will shine like a star on shelf and will draw the consumers' eye away from the mainstream products. The new Metallic tube has an extremely realistic metallic appearance of metal and, when adding lettering in silk screen, creates the haptic effect. Premium cosmetic brands like Keune and John Frieda have launched their premium cosmetic brands with LageenTubes new decoration technology and have experienced enormous success. LageenTubes has presented a new technique for printing on tubes: state of the art, photo-realistic photo imaging on plastic tubes, designed to generate high impact at the point of sale for its customers. With its new line, which has unique capabilities combining hot stamping, flexographic printing, silk screen printing, and varnishing all on the same printing platform, LageenTubes can create extruded tubes facilitating unique and innovative full tube decoration.